Aire Texas Residential Services, Inc.
About Aire Texas Residential Services, Inc.
Have you noticed that your air conditioning isn't working as well as it used to? Has it been a few years since your furnace has been serviced? Are you looking to upgrade your property with new home automation technologies? If the answer to any of these questions is yes, the friendly, licensed professionals at Aire Texas Residential Services, Inc. are ready to hear from you. Since 2010, Aire Texas has been a trusted name in HVAC repair services in Dallas and throughout its surrounding communities. Their team is dedicated to exceptional customer service and providing high-quality HVAC solutions that will serve homeowners for years to come. Unlike their competitors, Aire Texas also offers various home automation devices to enhance climate control, lighting, irrigation, even home security. 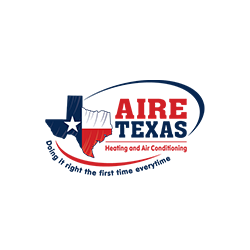 If your home is suffering from an HVAC issue—or you're finally ready for an upgrade—Aire Texas is ready to hear from you. Call today.